Customer reviews for Kungfu4less.com. Average 4.5 stars out of 5. Body:Excellent service and excellent products. I will definetly be ordering from you again! Body:This is the fourth time I buy with them and I can tell they are improving a lot this is a very convenient place to buy for us. I sien they can describe mor� in detail theyrs products mor� pics mor� explained. But so far thejy ar� doing better and better every time I buy a lot from diferent provitors but thi is so far one of the best in customer service. Price is still little bit the same as others the coupons and offers are not greath attractive but father all they are good. I really recommend Kungfu4lees. Body:Didn't need customer services so I can't rate. Price was best on the net for what I wanted, the item was delivered as ordered, intact and within restated shipping time. Very pleased. Body:Good selection, good prices and reliable shipping. 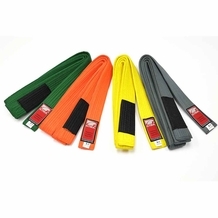 I've recently ordered martial arts equipment from 3 different on-line merchandisers. Only one merchant, KungFu4Less, billed correctly, sent the correct items, and delivered on time. I'm already using what I ordered from KungFu4Less, but I'm still waiting on the other merchants to even respond to my inquiries about missing items. Only KungFu4Less had a for-real, living person answering their phone. There are other merchants with similar store names, but don't be fooled; there is only one KungFu4Less and they are now my one "go to" place for my martial arts supplies. Body: Easy checkout. However my product was too small when it arrived and you have to pay to send it back and pay for shipping another item back. Or if you return there is a restocking fee. So be carefull when you purchase something and make sure it will fit. Body: I was very satisfied with the quality of the bamboo fighting fans I ordered and the price was reasonable. Body: The sparring gear was of great quality, and the shipping was fast. I will definitely be ordering further gear and equipment from this merchant. Body: Received excellent service in placing my order. The only disappointment was that although the prices were very reasonable listed near each item pictured, the shipping, handling,tax more than doubled the price of the item I ordered. Therefore, I may have not ordered if I knew I would be paying double the price of the actual item. By looking at the photo, I thought the price was very reasonable, and realize there is always shipping/handling, but did not realize my item was cost double? I rec'd my item on time and in excellent condition. All in all, I had a good ordering experience with this company and would probably order again, but would check shipping and other added-on charges first. Body: One word of advice, if you need it in a hurry the avoid the cheap shipping option. Pay the full price for the 3 day shipping from UPS. Body: Shipped quickly and was well packaged to prevent damage. Least expensive of all the sites that I checked out. Body: Perfect in every way. Body: EXCELLENT ONLINE EXPERIENCE, WILL ALWAYS BUY FROM THEM. Body: Excellent pricing. I spent hours comparing pricing for Adidas chest protector and headgear. KungFu4Less was by far the least expensive and had the most attractive shipping options. Gear arrived in short order (4 days) using the least expensive shipping option - UPS Ground. I'm very pleased with this company and will certainly use them again. Thanks. Body: I believe this was quite the way to shop. Just ensure that when you order via promo shipping it only ships out on Tuesdays and Thursdays. Once I realized that I was no longer getting aggrevated with when the product will arrive, but if you need it soon, choose another shipping method. The quality was awesome for the items I ordered, my only regret was that my order was split and I am still awaiting some of the back-order items. But it is not my first time ordering online so it is nothing new. Body: I ordered Kung Fu shoes and a t-shirt. Both items arrived in great condition and were just what I had ordered. They both fit great! I would definitely buy from kungfu4less again without hesitation. Great job and great products. Body: Give people what they order. Its that simple. Body: Excellent store with awesome prices. Body: Great prices on merchandise. I needed a rush on the order and received it earlier than expected. Definitely plan to order more in the future. Body: Great experience with kungfu.com. I received my order in just two days. Once I opened the box I noticed that one item was missing. I immediately email kungfu.com. I received an email stating that they would send the missing item right away. Two days later it was at my doorstep. Just in time for my daughters practice and sparing session. I will be ordering again. Body: I was really glad they didn't hesitate to use email to ask question re my order and accepted email to receive my answer. Body: Ordering was easy, the product was cheap compared to competitors, and the shipping was timely. My overall experience was excellent. Will shop here again in the future, and have recommended it to friends. 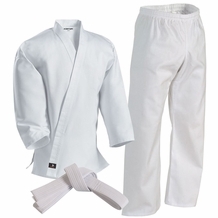 Body: GTMA Kung Fu uniform( white button) size 6. 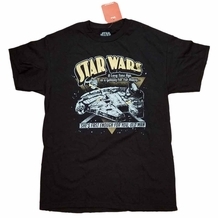 Needed maybe size 8 size chart wrong for GTMA. Quality and price were great, sizing inconvenience Really hurt my wallet. Had to purchase locally for Halloween sat. Body: I was exceptionally pleased with the design and the quality of the tkd sparring gear that I received. Body: I will continue to purchase from your store, because the prices are always low. Body: Great service! Highly recommend. Body: Great prices, cheap shipping, and quick delivery. Was very happy and will return for future purchases. Body: We were short 1 Adult Mouth Piece. Now we will have to find another one and wait for it to be delivered. Other than that everything was fine, we have ordered here MORE than one time and this is the only problem that we have had. It will also delay the class teaching on the fighting tech.